Is there a mystery you need to solve? This female detective mask is sure to help you crack the case with her very official detective's hat. 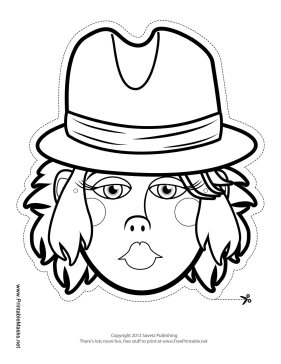 Color in her hair, eyes, hat, and lips to match your own! This mask is free to download and print.